My parents are in town this week to help out with watching the kid, so Dad and I got to sitting around the turntable this evening as he flipped through my record collection. 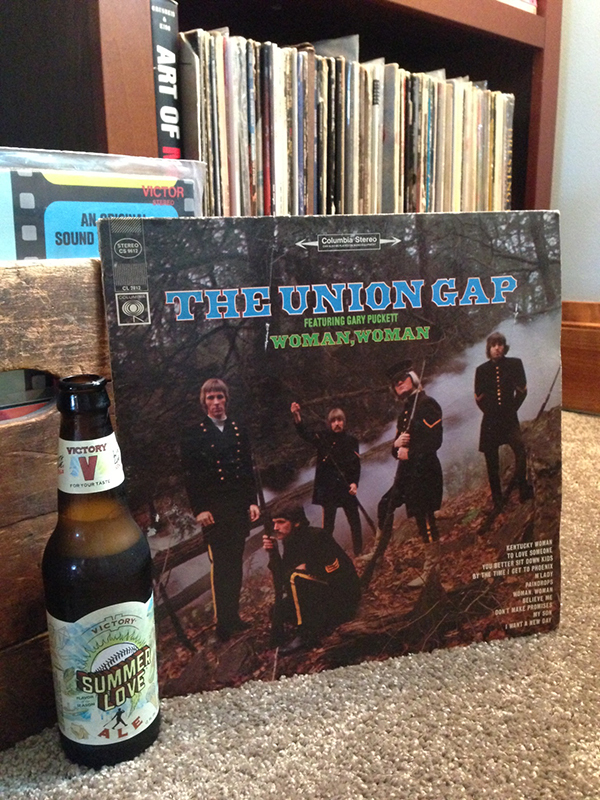 He pulled this vinyl gem out that I actually acquired from my mother-in-law and he proceeded to tell me how The Union Gap: Woman, Woman was the first record he ever received as a birthday gift. So we, along with my mom who chimed in with: “ooh I love this song” settled in for a relaxing Sunday evening. Paired with a new favorite Vicory’s Summer Ale and you’ve got the makings for a perfect Summer night.